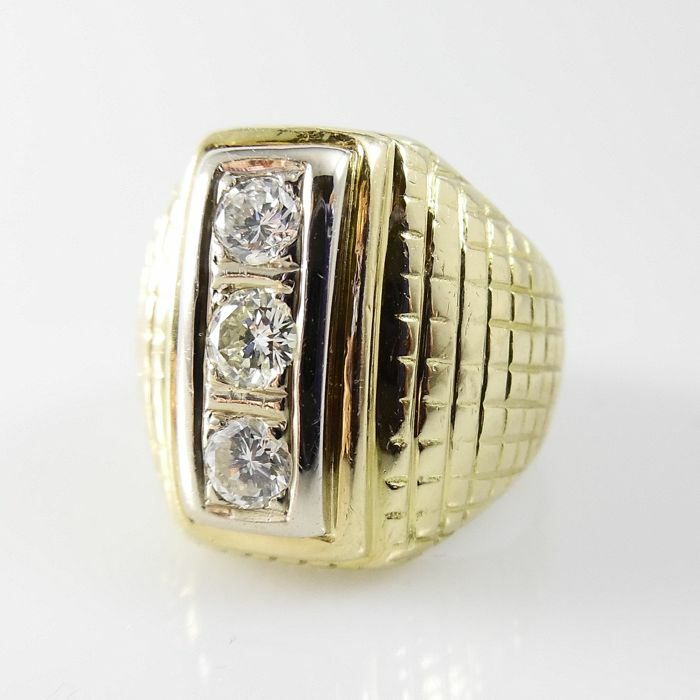 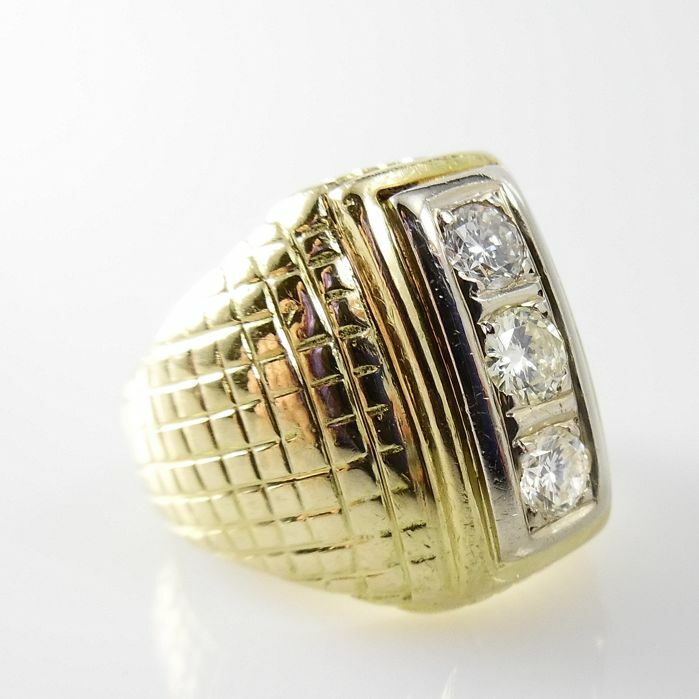 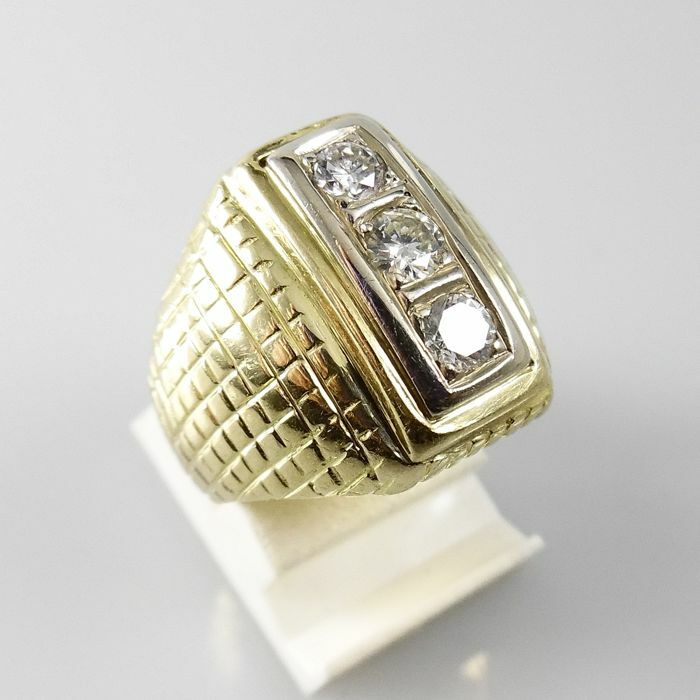 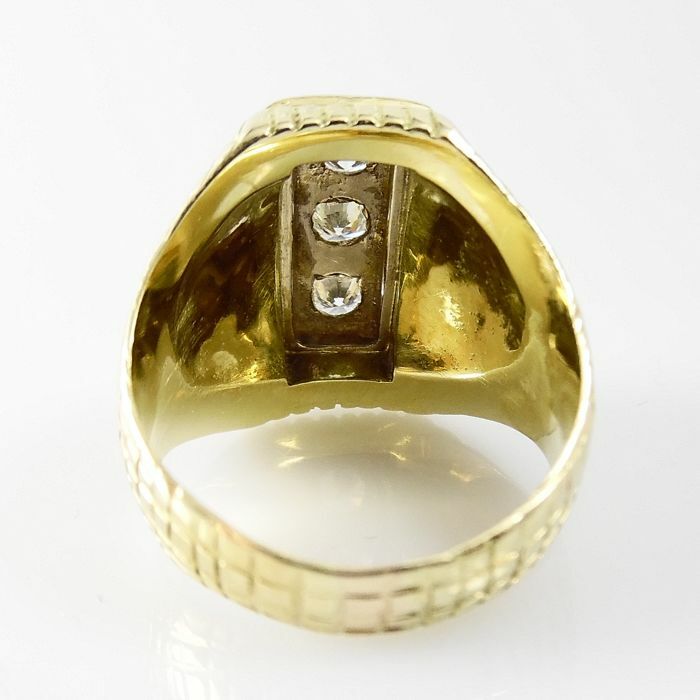 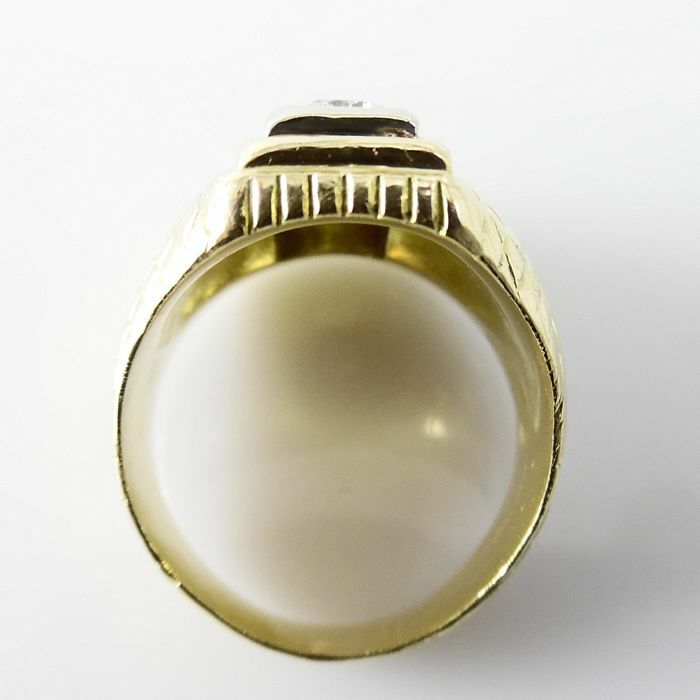 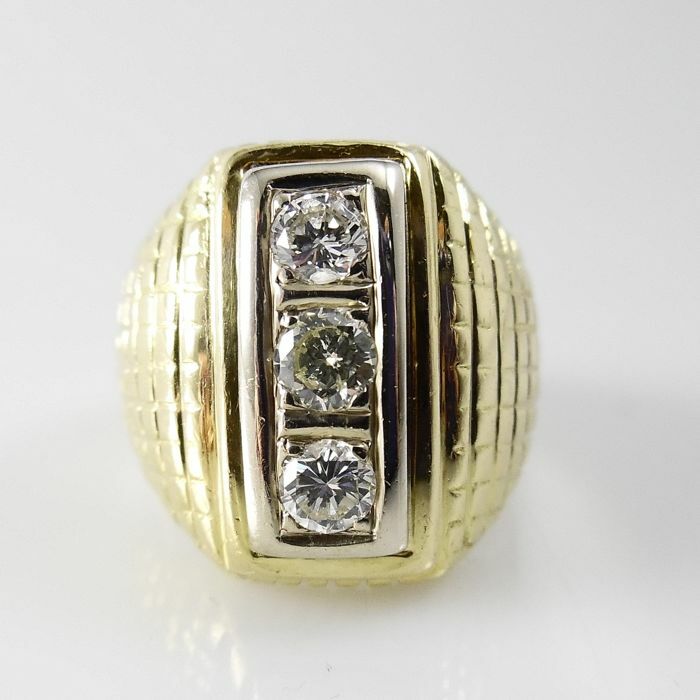 This gold ring is 17.7 mm wide at the top and 4.2 mm at the bottom. 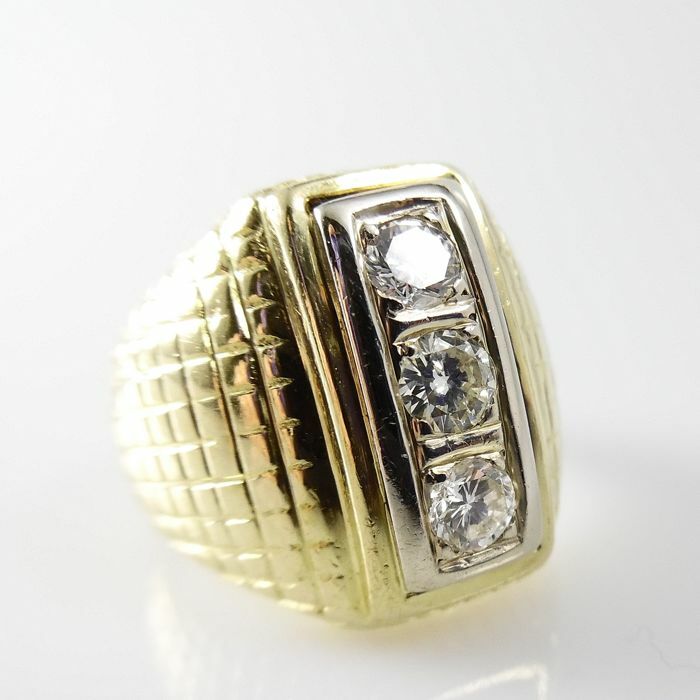 The three diamonds are set in a white gold edge. 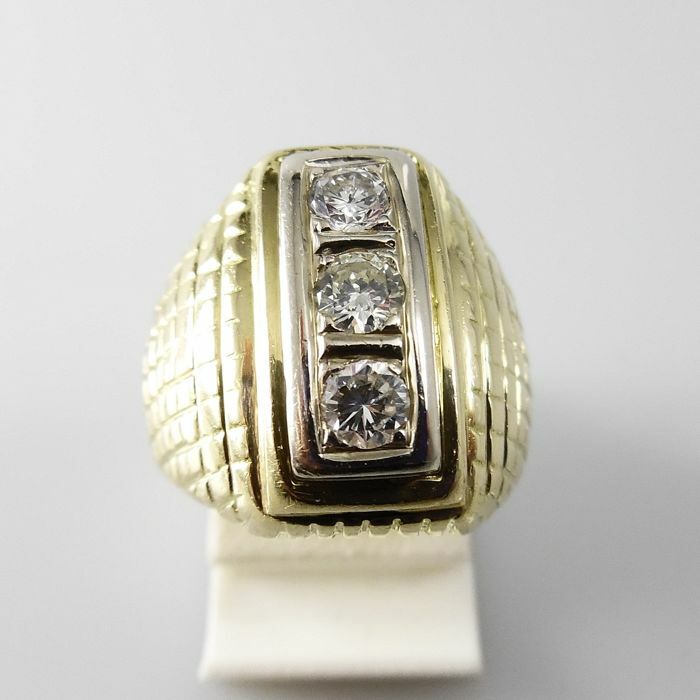 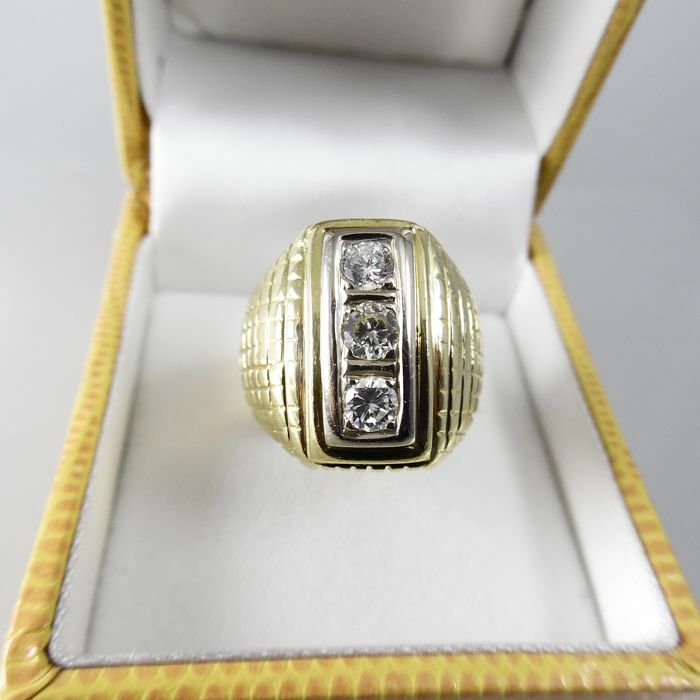 The ring has no hallmarks, but has been tested for 18 karat gold. 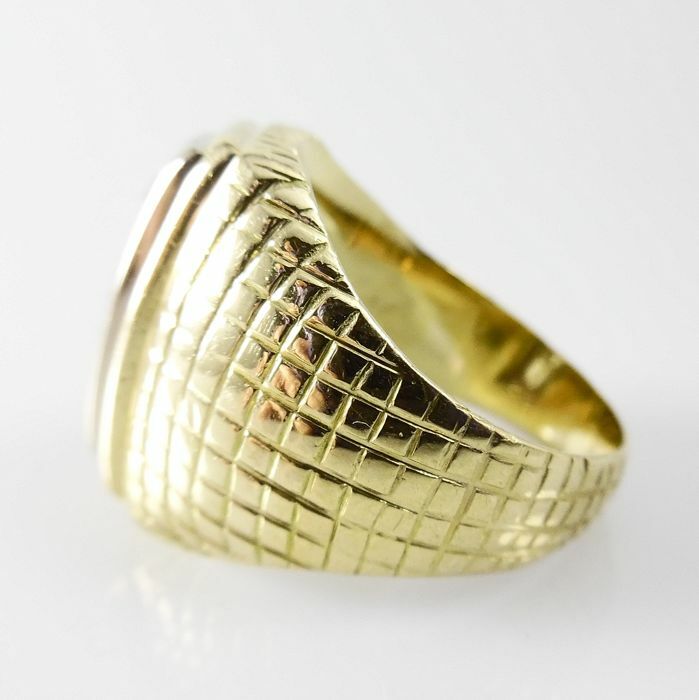 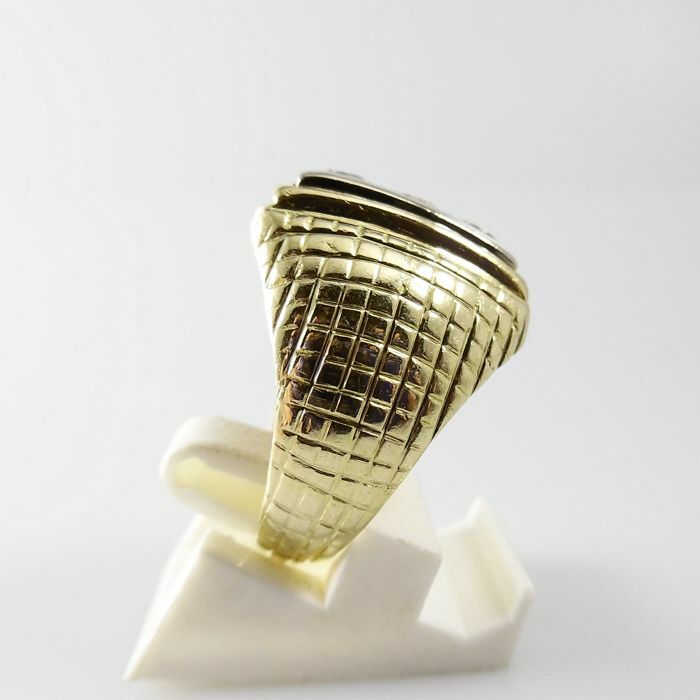 This ring will be shipped in a luxurious jewellery box, by registered and insured post via FedEx.